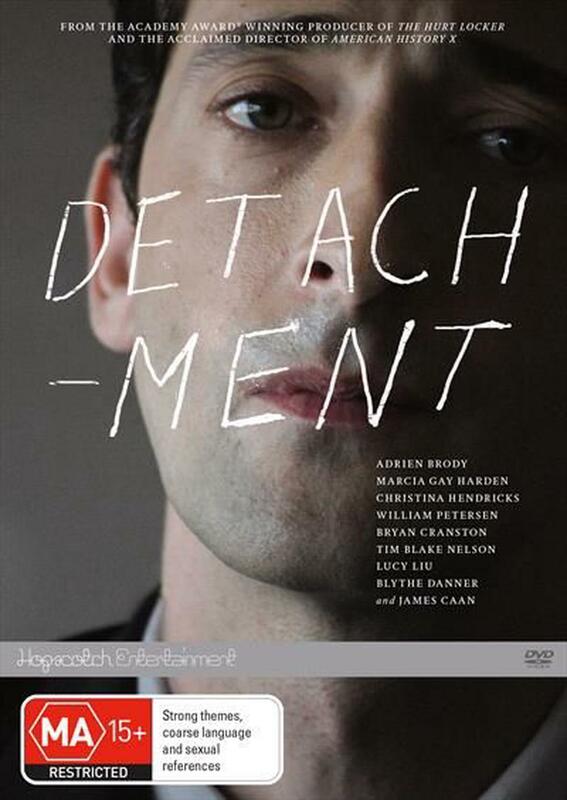 In Director Tony Kaye's DETACHMENT, Adrien Brody stars as Henry Barthes, an educator with a true talent to connect with his students. Yet Henry has chosen to bury his gift. By spending his days as a substitute teacher, he conveniently avoids any emotional connections by never staying anywhere long enough to form an attachment to either students or colleagues. When a new assignment places him at a public school where a frustrated, burned-out administration has created an apathetic student body, Henry soon becomes a role model to the disaffected youth. In finding an unlikely emotional connection to the students, teachers, and a runaway teen he takes in from the streets, Henry realizes that he's not alone in his life and death struggle to find beauty in a seemingly vicious and loveless world.